Congratulations to Loganberry Lodge residential care home in Stanway, near Colchester in Essex, for being shortlisted for a 2018 Essex Care Sector Award! The Awards, named the ‘The Prospers’, celebrates the best of care in Essex, demonstrated through innovation, achievement and outstanding contribution. The Awards, supported by Essex County Council, are open to all sectors of care including Domiciliary Care, Day Care, Residential Care Homes, Nursing homes and Learning disability services. Loganberry Lodge Home Manager, Anne-Marie Prothero said, "We are delighted to be shortlisted for an award to be recognised within the county of Essex as an excellent care provider for our elderly residents. I am looking forward to the upcoming gala evening along with my colleagues." We wish the professional care team at Loganberry Lodge, part of the Runwood Homes group of care homes, who provide expert care 24-hours a day to older people, including those who are living with dementia, the very best of luck at the awards gala ceremony taking place on 4 December at the Chelmsford City Racecourse, where the winners will be announced. 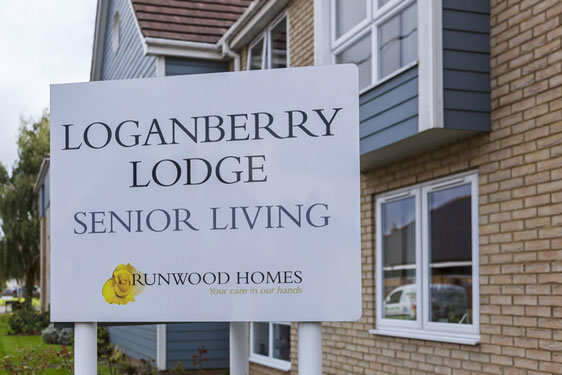 Loganberry Lodge is a 138 bedroom, purpose built, residential care home offering residential care, dementia and Alzheimer’s residential care as well as respite or short term care. Loganberry Lodge is open to local authority places and has a private wing for self-funding clients, named Huckleberry Lodge. Visit the Loganberry Lodge web page by clicking here.